Hotel Le Villiers, Paryż, Francja : Rezerwuj teraz! 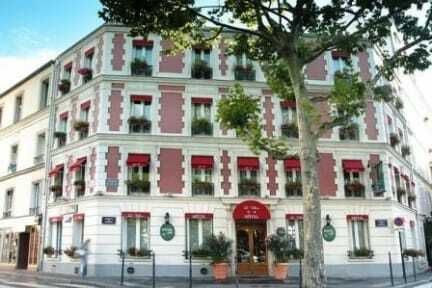 A charming hotel in the heart of Paris, at 10 minutes walking distance from Champs Elysees and Arc de Triomphe, in the west part of 17th district. 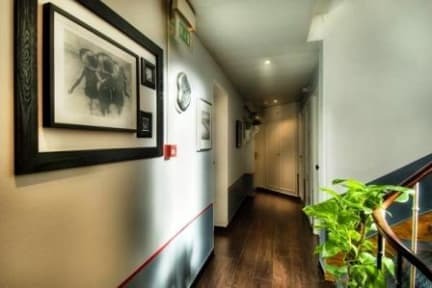 Located in front of a metro station, and close from Palais des Congres and Porte Maillot. Guest rooms at Le Villiers are simply furnished and have parquet floors. Each has a flat-screen TV with cable channels and an en suite bathroom with a shower. A buffet breakfast is served each morning in the breakfast room at Le Villiers. Breakfast can also be served in guests’ rooms upon request. The hotel offers a computer terminal with internet access in the lobby area and free newspapers are available each day. A safety deposit box is also offered at the hotel. Metro Station Porte de Champerret is less than a 1-minute walk from the hotel and offers direct access to Opera Garnier and The Marais.